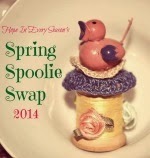 Happy Pink Saturday... just signed up for the spoolie swap! I think it's a good job, meticulous and creative designsk! Oh, Sarah! These are just fab! I'm soooo inspired! Must meditate on this with ideas. Thanks for sharing! 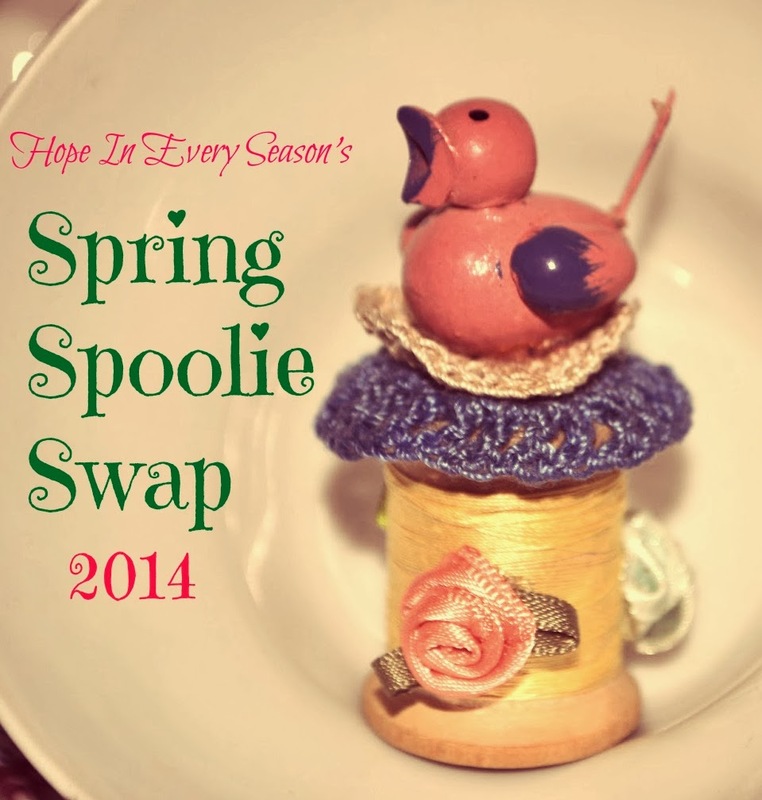 I can't jump on this swap now - so many changes happening for me at The Writer's Reverie - but I want to get back into linking with you and would love a swap like this sometime down the line. Just so blessed with all the good things and beauty my sweet blogging sisters share! Blessings! I have not visited your blog in quite a while ... I have been mostly posting, visiting about now and then. Nice to "see" you again! Cute spools! I have a very select few spools from mom's sewing and maybe mine too ... love them though. Crafting them would be neat too. Cute! If I were in the crafty mode, I'd love to join you. I can barely keep up with all of my other ventures! Thanks so much for stopping by my Pink Saturday post. Much appreciated! I've never heard of this craft; how fun. I especially like the little bird on the blue nest. Thanks for sharing. It sounds like fun! There are several Pinterest boards if people (like me) need inspiration. Sign me up!